How to fix broken screen of Samsung Galaxy S III? My phone was dropped from 2nd floor from my building, now the screen of my phone has been cracked and doesn't respond to touch, however display is working, I mean when i reboot my phone it shows my pattern lock screen but doesn't respond to touch. So my question is, can i fix my phone without replacing the full display unit that cost around 200$ ? Please suggest me with the best solution. You can purchase the digitizer by itself off eBay and other sites for less than $10. The digitizer is the part of the screen that is responsible for sensing touch. So if the screen is cracked but still displays a good picture then the LCD is fine and you only need to replace the digitizer which sits right in front of the LCD behind the screens protective glass. The digitizer part comes with the protective glass already adhered to the digitizer sheet. So all you really need to do is remove the old digitizer and install the new. Be aware that the ribbon cable on the digitizer is a very fragile and can be easily damaged if not careful. The digitizer only repair is a little harder to perform then swapping whole display but with the correct tools it is not a difficult job. So if you need to save a little money you can replace just the digitizer. Best of luck on your repair and I hope my information was helpful to you. Thanks BurnieG, I was looking for this helpful info & advise. So I just need to replace the digitizer. The part you have listed is the digitizer only and is the correct part if only replacing the digitizer. So if you still want to replace just the digitizer this part should definitely work for you. Best of luck in your repair. I would buy a b stock display off of eBay for $60-70 and use that. They are typically in really good condition with only minor marks or scratches. Thanks Mike I'll buy a b stock unit from ebay definitely if i get fail to replace the digitizer :) . 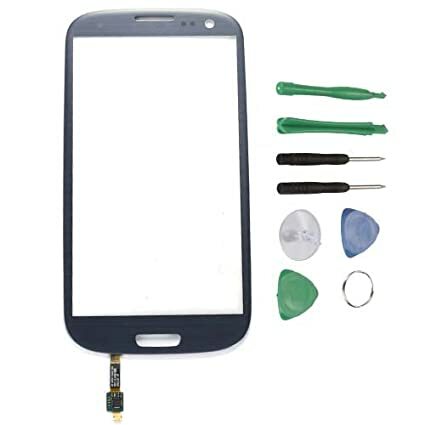 you can find this SAMSUNG GALAXY S3 SCREEN on http://www.iboxfix.com/screen-c-105_333_... for your screen replacement.